One of the minor disadvantages of buying an iPhone X early is having to wait for developers to update their apps with support for the smartphone's taller display. Many popular apps were updated within a few weeks after the device launched, but over four months later, there are still some notable omissions. MacRumors recently asked our readers to share their favorite apps that have yet to be optimized for the iPhone X display. Then, we reached out to the developers of each app to ask them if and when they will release updates with iPhone X support. We've included comments from every company that responded below. Google said it does not have anything to share at this time. Microsoft confirmed it is working on updating its remaining apps to be optimized for the iPhone X, but it did not provide a timeframe. 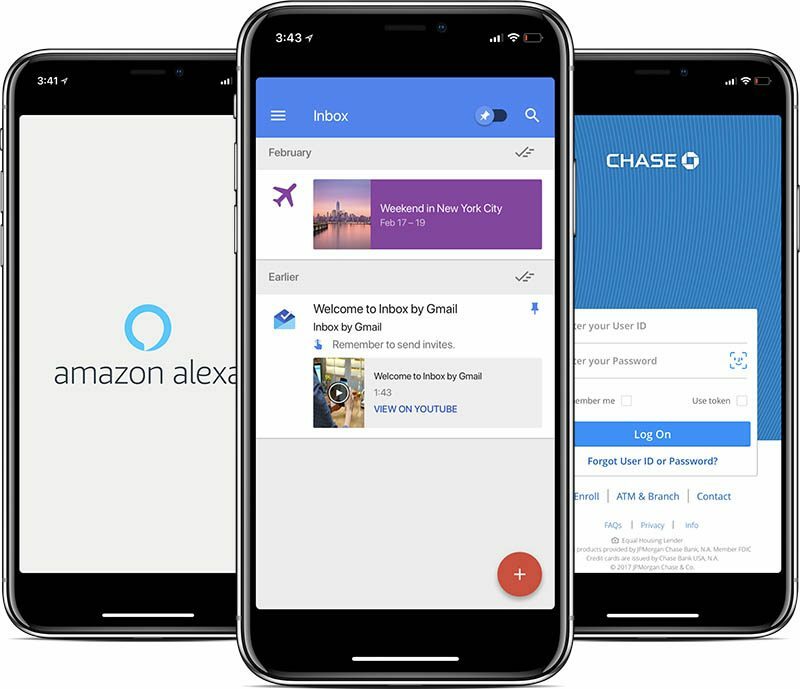 Chase — "We constantly evaluate changes in the market while listening to customer feedback and regularly update our mobile app based on that feedback. Watch for an update in the near future." TD Canada — "The next release of the TD mobile app, expected later this month, will be optimized for the iPhone X display." National Bank of Canada — "The app will be updated for iPhone X in the coming months." Barclaycard — "We've recently made changes to our app in support of the Face ID feature and we're planning further enhancements to the visual experience to amplify the iPhone X display capabilities." Domino's — "It will be updated in one of our upcoming app updates. I don't have an exact date." Pizza Hut — "Pizza Hut is currently developing numerous app enhancements, including optimizing the iPhone X display and other capabilities offered by the phone." NBC Sports — "It will happen soon." PGA TOUR — "We are updating our app on March 20 to support the new iPhone X format." NPR News — "We will have an update for iPhone X for the NPR News app on April 2." NPR One — "The update for NPR One will come later in the summer." Amazon Alexa — "The Alexa app will be updated and optimized for iPhone X display in the coming weeks." Linksys — "The update for the Linksys app for iPhone X will be rolling out in the next few days." OpenVPN — "We are currently developing a new iOS app that will support iPhone X. It will tentatively be released end of April." HipChat — "HipChat will not be updated for the iPhone X but Stride will be soon." Hotels.com — "We will be releasing our update to better support iPhone X shortly." Apple recently announced that, starting April 2018, all new iOS apps submitted to the App Store, including universal apps, must support the iPhone X display. The rule doesn't apply to existing apps. There are dozens of apps! Baffles me that Apple can’t even make sure their own lineup of apps aren’t updated for the IPhone X. Really annoys me, some of them are app I use! This is an issue that Apple needs to address with developers. I have a secondary device that’s an android and the fragmentation from experience one device to another is a huge disadvantage of Android. Apple holding developers to the fire to comply with resolution and screen elements is what makes Apple a far better experience. Chase and other apps still not supporting the X display have been updated many times. Apple should require them to comple. Just my opinion. They have to get their own house in order first before they can do that. As for the fate of most these 6 iOS apps by Apple, I think the short answer is: "they are dead, Jim." iMovie probably is alive, but is given lower priority as the team focuses on Clips. I think iTunes Connect is being reworked and will be renamed, perhaps unveiled during WWDC. AirPort Utility... dead, along with AirPort hardware. That ugly notch adds nothing but fragmentation to apps and user experience. Isn’t Chase supposed to be the most technologically advanced bank? In my opinion, Apple should be setting the example.